To avoid a lengthy probate process (it is easier AND faster for your Executor to distribute your assets to loved one). You can make gifts and donations. Avoid greater legal challenges (which reduced the burden on loved ones who are already struggling with your death). Because you can change your mind if your life circumstances change. Because tomorrow is not promised; death is certain. 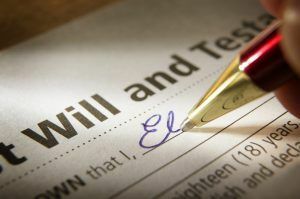 There are other considerations, such as Living Will and Power of Attorney, that you should address when getting or updating your Will. What are your wishes if you are on life-support? Who do you want to manage your financial affairs if you are sick and unable to do so yourself? The Living Will makes your wishes known. The Power of Attorney is the person you have selected and trust to act on your behalf to make decisions based upon your wishes. Wonder why you should bother getting a Will if you do not have many assets? Your situation can change quickly if you have a windfall (inheritance, lottery, lawsuit settlement due to negligence caused by a third party). Your networth can also improve over time. It is already tough for loved ones dealing with your death. Having a Will helps them settle your affairs most efficiently, ensures your assets are distributed according to your wishes and reduces the risk family members will fight over your estate. Does a Will Survive Marriage or Divorce? A Will does not survive marriage. Your Will can become null and void if your Will was not written in contemplation of marriage. That means, if you marry, pre-marital assets may go to your new spouse if you die after marriage. That also means your children or other family members, for example, may not get assets that you intended for them. A Will survives separation and divorce. That means, even if your assets are divided between you and your spouse following separation or divorce, your spouse may still inherit all or some of your assets if you do not have a Will or have not updated your Will to exclude him or her. In this particular case, you would need a legally binding Separation Agreement and updated Will to ensure your assets go to the people you designate and not to your spouse, if that is your wish. Need a referral for a lawyer in Calgary? I recommend Brenda Tan-Uhuegbulem. She is in my building. I have negotiated with her to give my current and past clients a great rate to help with their Will, Enduring Power of Attorney, and Personal Directive. If your ex-spouse used her services for review and signing of a Separation Agreement, she may not be appropriate to help you with your Will. For the month of November 2018 only, if you tell Brenda, “Debbie referred me”, she’ll take an extra $50.00 of her total price. Click here for your Will Questionnaire. Fill in the form (one for you and one for your spouse, if applicable) and save it to your desktop. Brenda will telephone you and schedule an appointment for you (and your spouse, if applicable), to meet with her. Here rates are below. Don’t forget to subtract $50.00 +GST for the month of November 2018 if you tell her Debbie referred you. Are you living in a common-law relationship or are married? There is no guarantee that specific beneficiaries will be entitled to assets you or your spouse have willed to them if one of you has right to those assets as a result of your common law or marital relationship. If you would like a consultation to learn more about getting a Cohabitation Agreement or Pre-Marital Agreement to protect particular assets in the event of separation, divorce or death, call Debbie Ward at 403-229-2774. Step 1: Create a binder of all of your accounts, insurance policies and passwords. Step 2: Keep your binder, all of your passwords and Will in a safety deposit box at your bank for safekeeping. Talk to your lawyer about when and how your Executor or Power of Attorney may access these accounts when needed. It is one thing to be prepared for your death. But, what if you have a critical illness or injury and family members are tasked with getting you the best help and you have a limited budget? critical illness (you receive a lump sum payment if you are diagnosed with a serious illness). Check with your employer if you can pay extra to top up your plan. You might be able to obtain extra insurance. You might be able to reduce the amount of time that you have to wait before disability income starts. Alternatively, some disability packages pay 50%, 60% or even 70% of your usual wages. If you feel your plan is inadequate, you can ask if you can increase your benefits at your expense. Sometimes you get better rates from group insurance plans than you would otherwise get on your own. Alternatively, you may be able to talk to an insurance agent for additional benefits that will provide you with some protection in addition to your existing plan or if you lose your employment. Also, check with your current plan administrator to see if you can continue your plan if your employment ends. 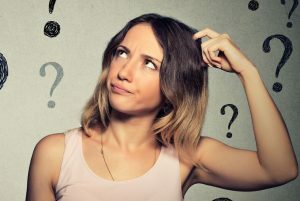 If there is a disruption in your insurance, you may lose the right to have pre-existing medical conditions covered should you get re-insured elsewhere. The insurance company might allow you to continue your coverage uninterrupted, provided you continue to pay for the coverage.